The Peugeot 206 5-Speed manual gearbox is one of our top sellers in our reconditioned gearbox range. We particularly get a lot of enquiries for the 1.1L – 1.4L variants from 1997 – 2007. The most common failure we’ve seen with this type of gearbox is the front bearing failing and oil contamination on the clutch. This would cause clutch-slip and a slight noise on idle, which disappears when the clutch is depressed. Typically when a gearbox fails you’re often advised to replace it with a second-hand part because new gearboxes from dealers (although will come with a 12 month warranty) will be very expensive. Second-hand (used) gearboxes will only come with a limited 30-90 day warranty but will be much cheaper than a new part. The downside is you never know how well maintained the used gearbox was prior to it being removed from the vehicle – it may have come from a high-mileage car or a front-accident car which can affect it’s life expectancy. We offer Gearbox Repair + Rebuild services at very low cost affordable prices. When rebuilding a gearbox, we use new genuine OEM components to ensure that each and every rebuilt gearbox meets & exceeds OE specifications. All of our reconditioned gearboxes come with a 2 year unlimited mileage warranty and free fitting at our gearbox service centre. If you have a Peugeot 206 with a manual gearbox fault, call us on 0844 847 9999. Tags : Peugeot 206 Gearbox Faults, Peugeot 206 Gearbox Repairs, Reconditioned Peugeot 206 Gearboxes. We would need to see the vehicle or the gearbox if you’re removing and sending to us. We can then strip it down and inspect it to see which worn part is causing this fault. I have sent you an email with full pricing and information, if you have any questions please respond to the email and I’ll be happy to assist you. We’ve sent you an email with full pricing and information, if you have any questions please respond to the email and we’ll be happy to assist you. 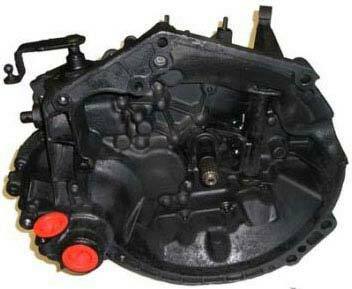 We have sent you an email with full pricing and repair information for your Peugeot 206 Gearbox. Hi my son has an 03 1.1 206 with a whining gearbox which is quite when the clutch is in. Can you please tell me what you would charge to Remove repair ad refit the gearbox please? Where abouts are you too? Many thanks..
We can definitely help and have sent you an email with pricing and information. Iv just bought a 1.4 206 05 plate. Gear stick is wobbly and has popped out of third.